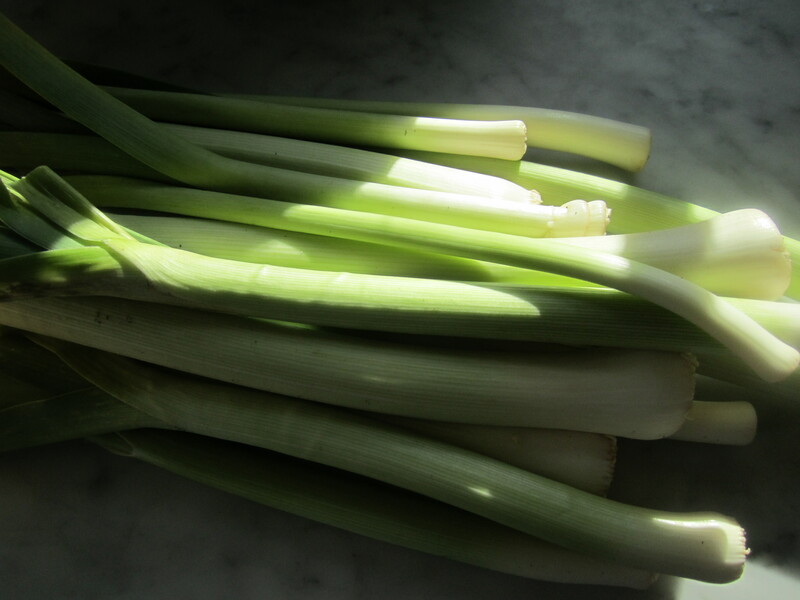 These leeks are truly the last hurrah from my neighbor Beppi’s vegetable garden. I’ve also stocked up on winter squashes from one of the local farm stands before it closes. But not to despair–there is another farm stand which will stay open, on the honor system, until Christmas–that means you go in, shop for produce and leave your cash in a locked metal box. It’s a wonderful system that I dare say no one abuses, because of how much we all value the trust that the farmers place in us. 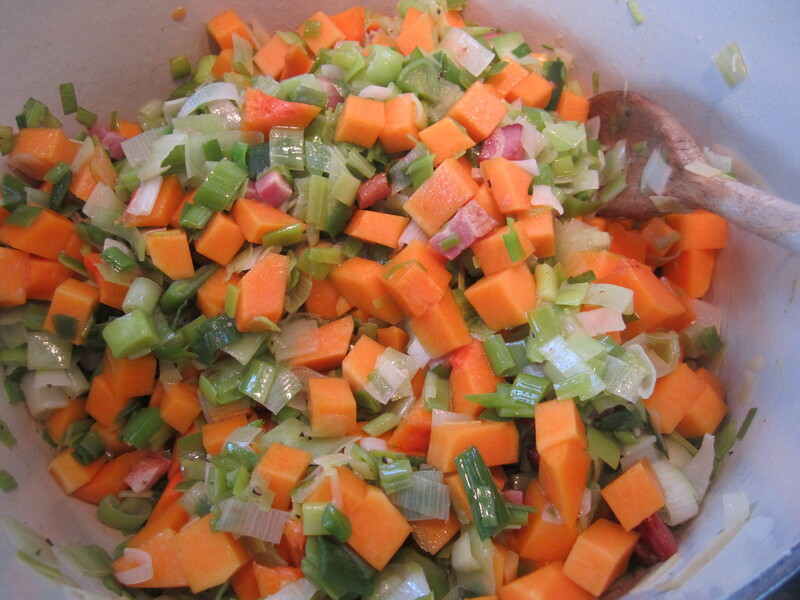 This soup is almost identical in preparation to Beppi’s Leek and Potato Soup, but with butternut squash standing in for potatoes. 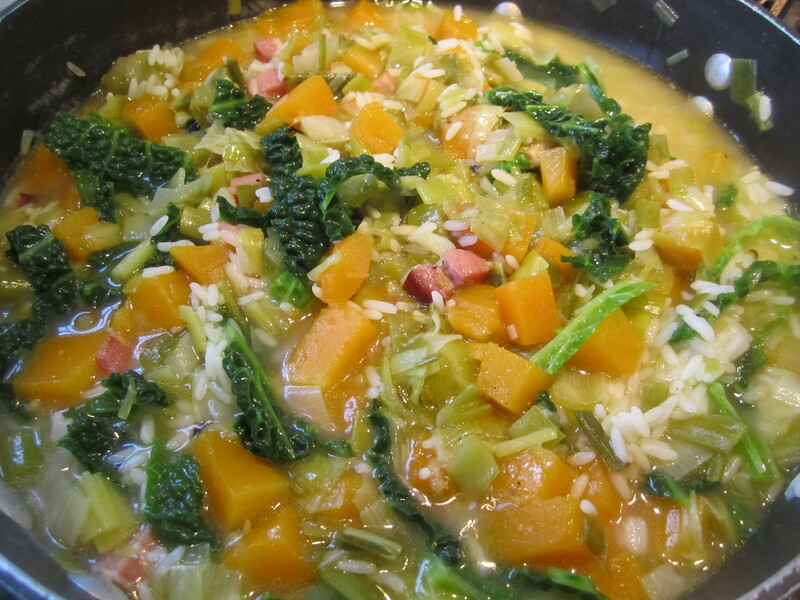 In addition, I’ve added some nutmeg, which goes exceptionally well with the sweet, buttery flavor of the squash. 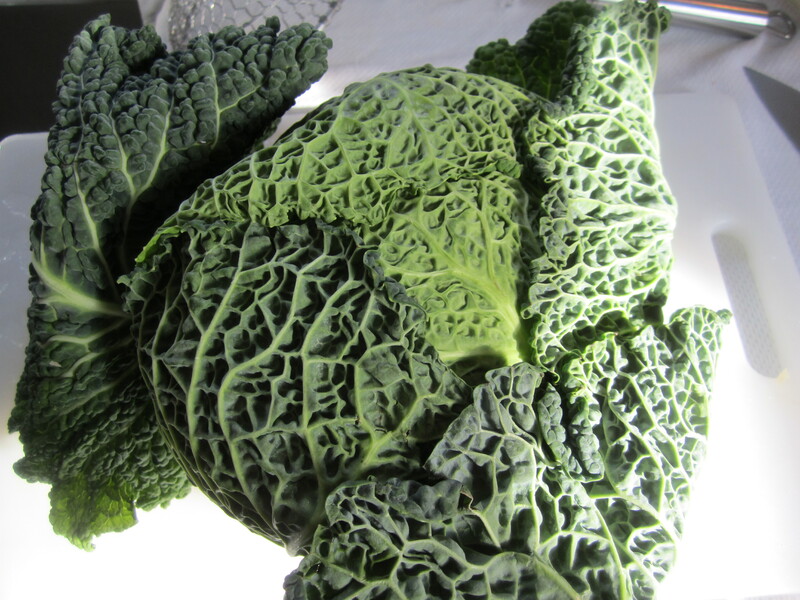 In addition to the leek and squash, I’ve just bought some beautiful, deep green savoy cabbage, which is also a nice addition–particularly the exterior leaves–they make the ideal addition to almost any soup. To fortify the soup a bit, I cooked some rice at the last minute (Uncle Ben’s). In fact, the soup can be frozen (without rice), then reheated. At the time of reheating, you can add cooked rice, orzo, or ditalini to it to fortify it. This soup only takes about 45 minutes from start to finish, so you can make it at the last minute for lunch, and serve as many unexpected guests as you need to by simply adding rice or pasta, plus additional broth. 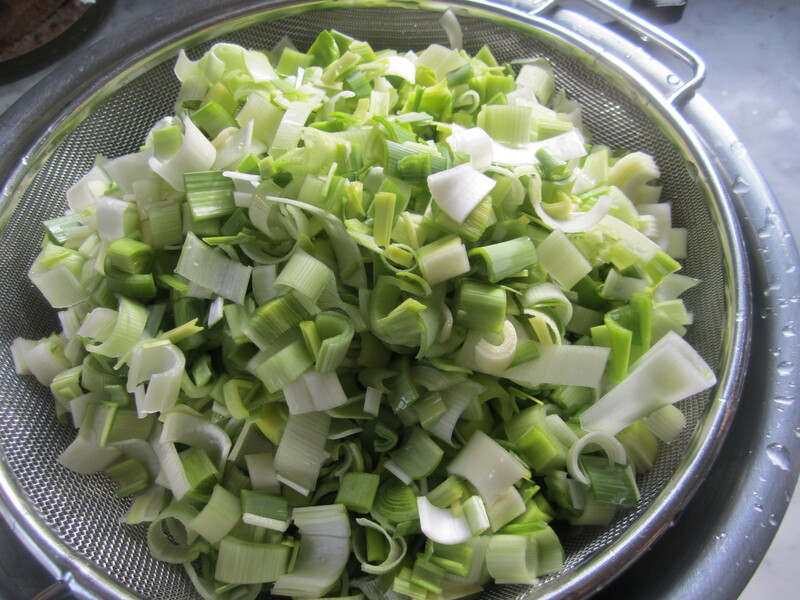 Cut leeks in half lengthwise and wash well. Dice into 1/4″ half-moon slices. 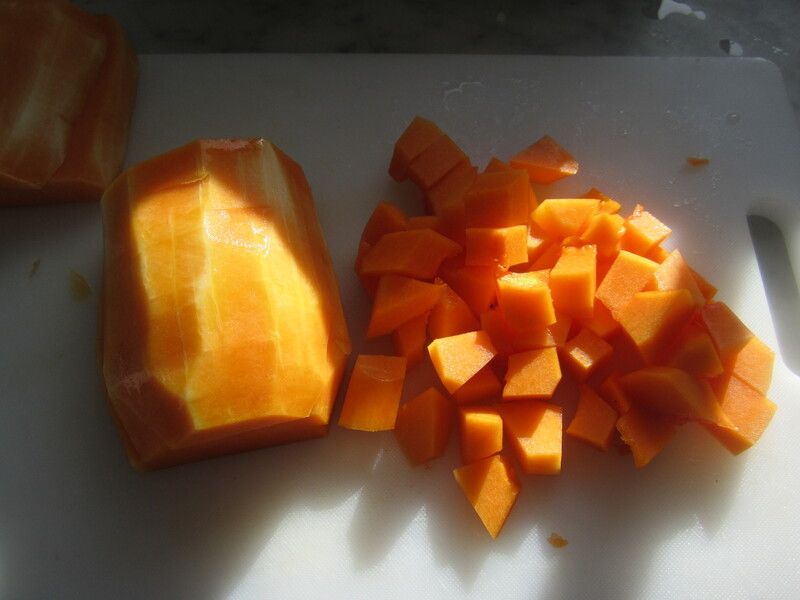 Peel and dice butternut squash into 3/4″ cubes. 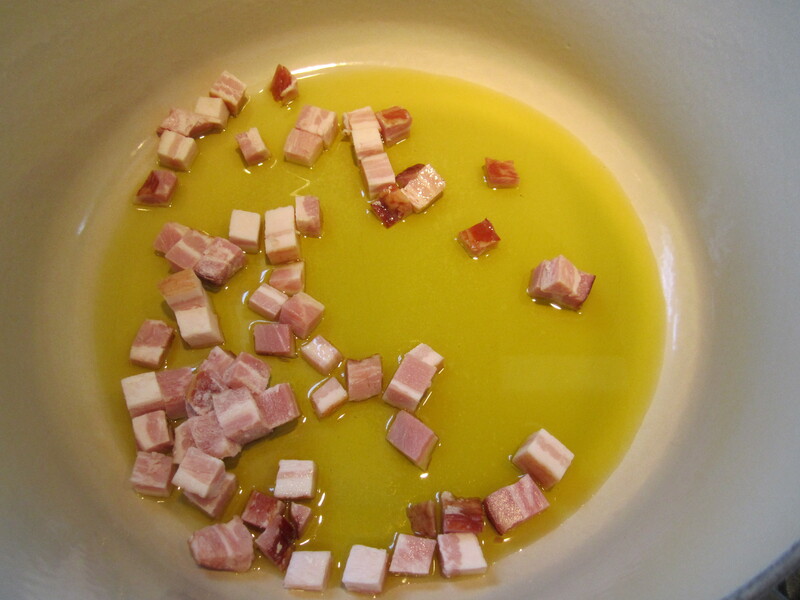 In a heavy-bottomed dutch oven, on low heat, render the bacon for about 5 minutes, until it sheds some of its fat. 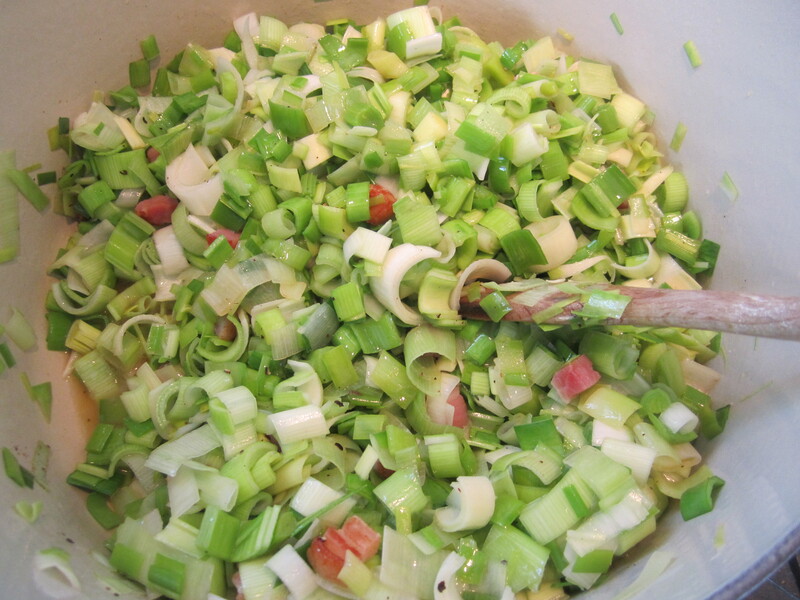 Add leeks and saute for about 8 to 10 minutes, or until they turn translucent and shrink in bulk slightly. Turn up the heat and add the butternut squash cubes and continue sauteing for 5 more minutes. Add nutmeg, a sprinkle of salt, and the pepper. Simmer for 30 minutes or so, or until squash is tender. 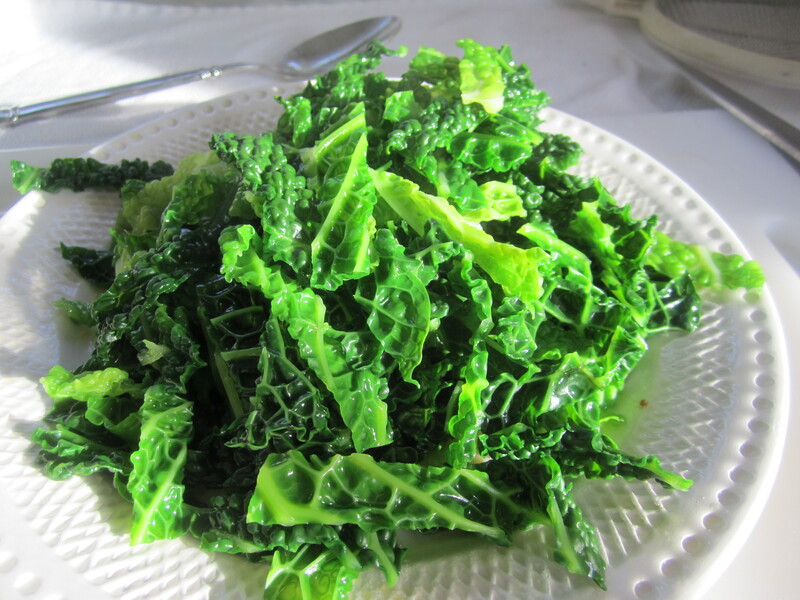 If adding rice and cabbage, blanch the cabbage leaves in boiling salted water for about 5 minutes, then remove and set aside. 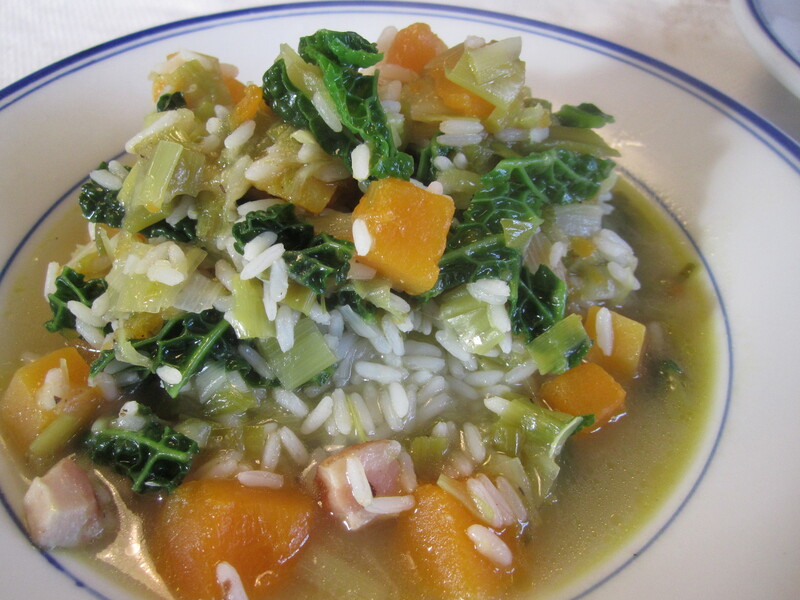 Boil rice for 15 minutes, then drain and add soup to rice in whatever proportion you desire. Sprinkle soup with plenty of grated parmigiano. 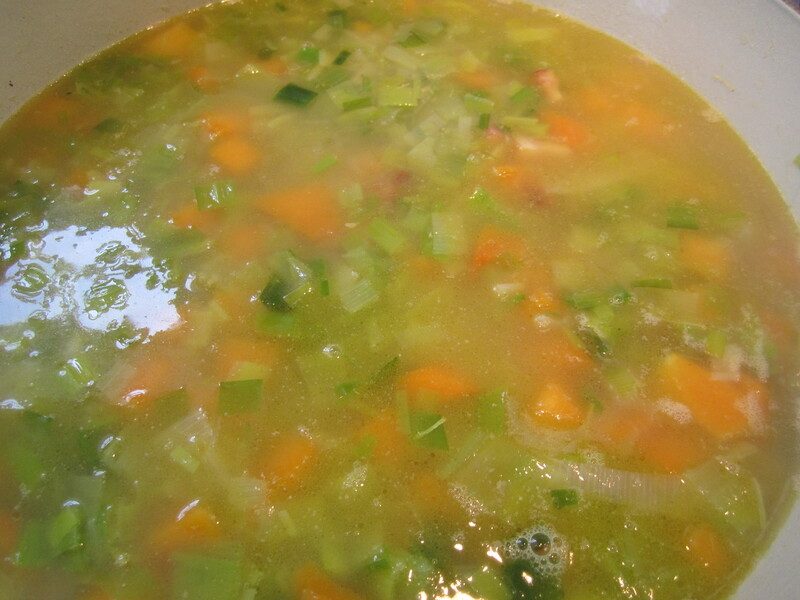 Leftover soup (without rice) may be frozen.